Listen, the music over the Baltic Sea and it is singing for the joy of one world! It was the last day of February in a season full of frost and cloudiness. Along the eastern shore of the Baltic Sea, EXPAT ‘fun & pilot launch’ events ignited the after-work time in Helsinki, Turku, Tallinn and Riga and brought nearly 300 internationals to activate the Expat virtual service platform pilot. 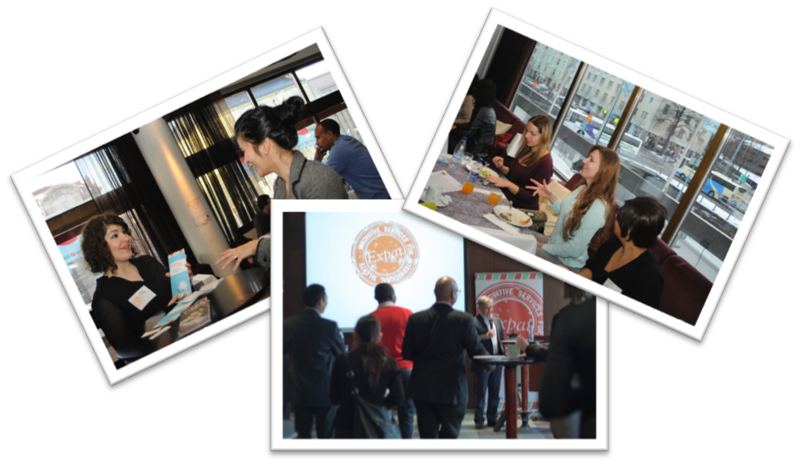 Hosted by Mr. Tino Singh, the Helsinki event was full of witty discussions amongst participants and service providers. The event was kicked off by the welcome speech, by Mr. Juha Eskelinen, Deputy Regional Mayor of Helsinki Region, addressed his sincere welcome to the internationals whom came to the event thus to the Helsinki region. Following speed introductions of service providers, Project Manager Ms. Christine Chang presented the outcome of questionnaire on internationals which was conducted by the Expat-project last autumn. The outcome raised a lively discussion on how to make Helsinki region truly inclusive and international. “It’s exciting to see the project progress over time and am really glad to be a part of the community development”, addressed Ms. Jesscia Powell, host of the Expat meet-up Helsinki who also participated in Helsinki local workshop last December. Service providers and networks: City of Helsinki, City of Espoo, Luckan, Expat meet-up, IESAF, Maailma kylässä, InterNations, Helsinki Region Welcome Weeks and My international Finland. 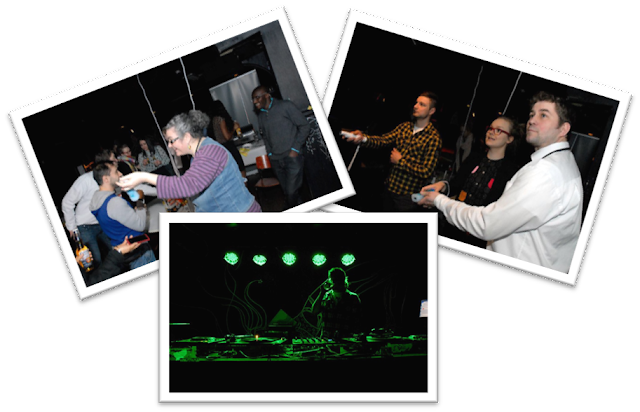 The Turku event was organized in one of the most classical night clubs-Klubi. Two bands with expat singers, The Sextans and Tanks performed their original songs. Vibrant music brought people step into the dance floor and rocked their body. Meanwhile, the seats for playing Wii games were occupied from beginning until the end. There were old friends and new faces; there were found new friends and familiar happiness. Cross the Baltic Sea to Estonia, here was a peaceful event. Tallinn partners organized a meet-up with stakeholders and invited expats to follow a live stream of the platform pilot launch. “Despite we were not able to follow the whole session due to technical problem, we were catching up with each other and enjoyed the moment.” commented by Kaido from the Expat-projects' Estonian partner. 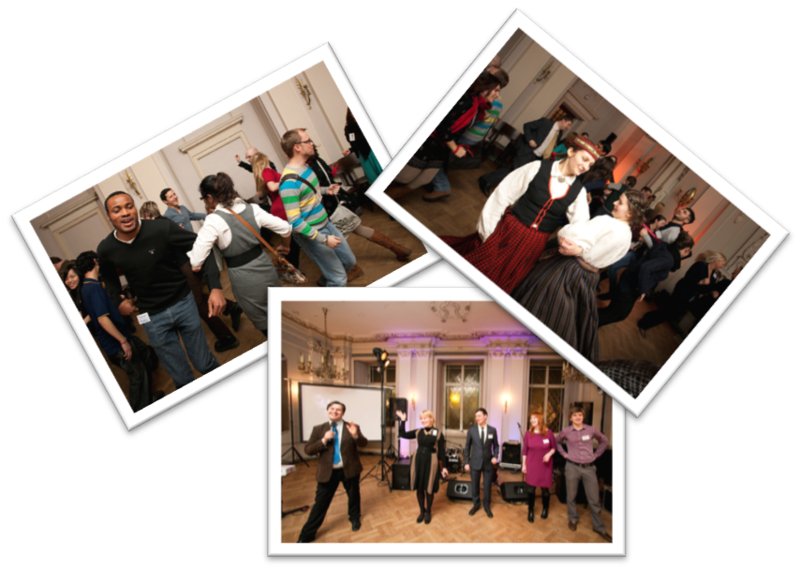 With expats coming from 32 countries around the world, party people in Riga were sharing a drink, that is sweet Latvian essence. The event took place at the historical Riga Latvian Society Building. It started with welcome words from representatives of Riga Planning Region and University of Latvia and introductions of the Expat project and of services offered by the newly established National Integration Centre. Then expats came along and shared their stories of living and working in Latvia. The Event ended with traditional Latvian music by the Ethnomusicologists ensemble and a mini-concert by the hip pop-music act Goran Gora. The dancing floor was full of smiling people. “I was quite surprised and impressed with the amount of efforts being done to welcome and integrate foreigners”, addressed Helmant from India. Launched in a real time connection at 7 pm in all locations, the Expats virtual service platform was introduced by Mr. Conrad Lyaruu from Laurea University of Applied Sciences. Fully developed together with users (internationals), from its web structure, content and interface, the platform combines services of social networking and a guideline to existing public information. “We wish to hear more from you on how we can develop this further. The pilot is just a beginning, don’t hesitate to send your feedback anytime” exclaimed Conrad in the end of his presentation. The service platform is open for participatory development as a pilot in order to increase the interaction between service suppliers and the users. By doing this, the expat-project wishes to make our regions more inclusive and welcoming to internationals no matter from where they are. The platforms from each region are under http://www.expatproject.eu/. The Helsinki region service platform can be found at www.helsinkiexpats.info. Educated internationals in Helsinki region are facing challenges to settle in comparing to those who live in Turku, Tallinn, Tartu and Stockholm-Uppsala region according to an internationally conducted survey by the Expat-project. The overall dissatisfaction from educated internationals was related to social connection to the local society and the basic public services. The internationals, public officers and non-profit organizations were brought together to develop a virtual service platform which is piloted for participatory development this year. The service platform offers useful guidelines for settling-in and easier access to existing public services and social networking activities. Five joint platform services from Helsinki, Tallinn, Riga, Turku and Stockholm can be found at http://expatproject.eu. Expat-project presented the survey outcome as well as a pilot of a virtual service platform today. The platform was launched in a real time video conference in Helsinki, Turku, Tallinn and Riga. The pilot launch comes as a result of the survey and workshop which were conducted in all regions last year. From the presented outcome of the questionnaire, the internationals settled in Helsinki found it hard to access public service, from registration to housing, and to the local social community. In addition to income insufficiency, the uphold of cultural identity, and social connections, the internationals who earned over 3000 EUR a month gave a low score while evaluating if he or she can actualize one’s goal of life in Helsinki region. While internationals were asked 35 questions on the experiences of daily life to settle in Helsinki region, Helsinki region received positive feedback on safety, fare treatment from colleagues or classmates as well as that they consider the life in Helsinki region is an unique experience. The questionnaire on internationals’ satisfaction with their quality of life was conducted in autumn 2012. It received about 800 responses across Finland, Sweden, Estonia and Latvia and 153 internationals have participated in the survey from Helsinki region. 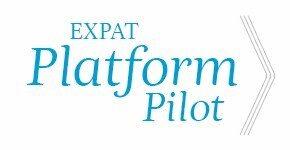 The Expats virtual service platform is initiated by the Expat-project. It combines services of social networking and a guideline to existing public information and is open for participatory development in order to make the Central Baltic Sea Region international and competitive in a global economy. The Expat-project consists of 10 public authorities and organizations from Finland, Sweden, Latvia and Estonia. Its aim is to make the Central Baltic Sea Region a competitive and international region through a participatory method and working with internationals and stakeholders. The lead partner of the Expat-project is Uusimaa Regional Council and it is co-financed by EU Interreg IV A Programme.